Transfer RNA (tRNA) "translates" the genetic code into the language of proteins. Each tRNA molecule binds to a specific amino acid on the acceptor arm, recognizes its corresponding code on the mRNA through the anticodon loop region and delivers the amino acid to a growing peptide chain in the ribosome for protein synthesis. 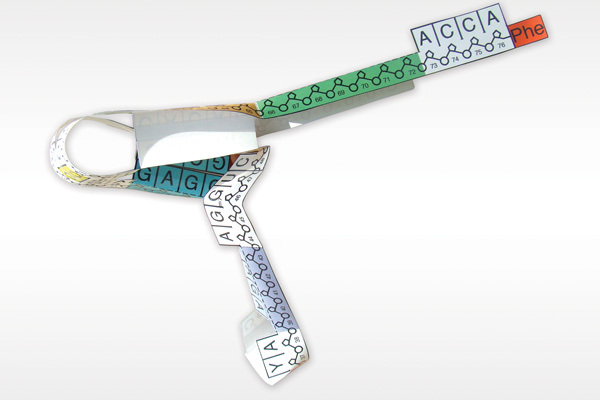 To build this paper model of tRNA, download and print the template PDF. Instructions for cutting and assembling are included. Tip: This model involves a lot of cutting; teachers may wish to prepare materials ahead of class time. Activity: Build the paper model and use a 3D viewer for further exploration. 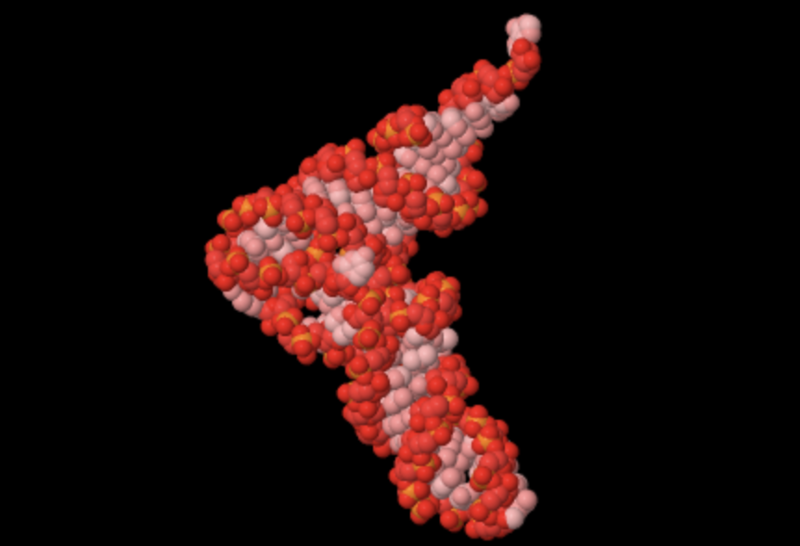 Use the PDB-101 Browser to explore more resources and articles about DNA, RNA, and Protein Synthesis.